Discover modern classics and timeless shapes with our range of plus size blouses and shirts. From effortless chiffon fabrics to structured shirts, our collection will take you from week-to-weekend with ease. Key staples for this season include floral prints and flattering wrap front finishes, while checked shirts remain a casual favourite. Available in plus size 16 to 36, shop new-season styles below. Combining comfort and style, our range of casual shirts are perfect for everyday wear. Stay on trend with one of our plus size denim shirts or keep it simple with a checked option. Whether you wear it solo or layer over a t-shirt or a cami top, achieve a fashion-forward look with this must-have collection. Deciding what to wear for work can be difficult, particularly in the warmer months. Our range of workwear shirts and blouses balance fashion and function to deliver stylish and practical designs. A tailored shirt is always a workwear favourite, whilst woven blouses are perfect for creating a soft feminine look. Simply team with a pair of bootcut pants for an on-trend office-ready outfit. 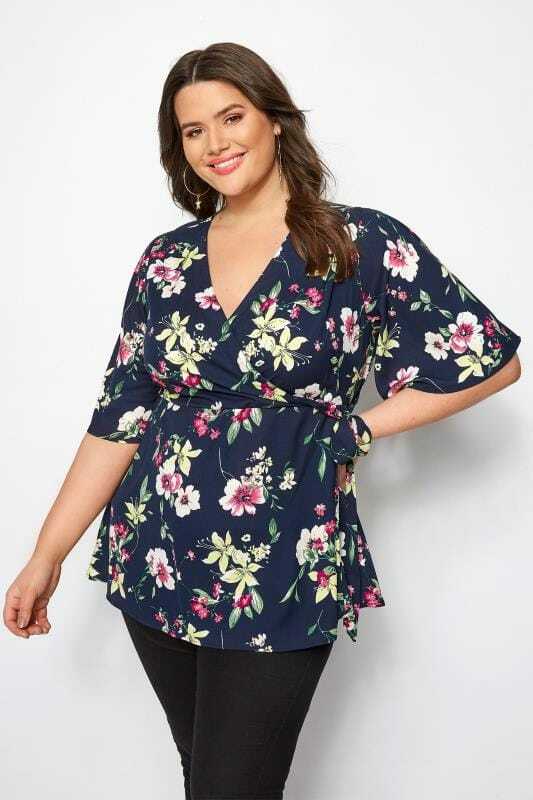 Dress to impress with our range of plus size evening and party blouses. From statement floral prints to sparkling embellishment, add a touch of glam to your outfit with our new season collection. Team woven styles with skinny jeans and heels for an effortlessly chic going-out look, or wear with a pencil skirt for maximum sophistication.